This video is taken from the Soundstage series which featured highly respected artists from the '70s and the '80s performing live in concert on PBS. 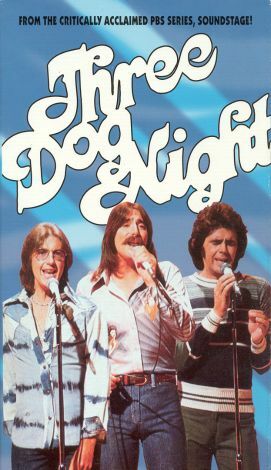 Cory Wells, Chuck Negron, and Danny Hutton make up Three Dog Night, who performs several of their songs here with amazing vocal range and talent. Songs featured are "One," "Family of Man," "Shambala," "Old Fashioned Love Song," "Till the World Ends," and more. The video also comes with liner notes and vintage photos.